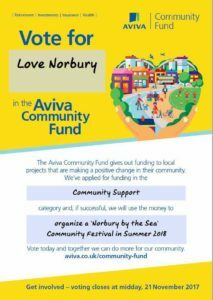 Vote for Love Norbury to win funding to put on a ‘Norbury by the Sea’ Community Festival in Summer 2018! Love Norbury is through to the voting stage of the Aviva Community Fund. 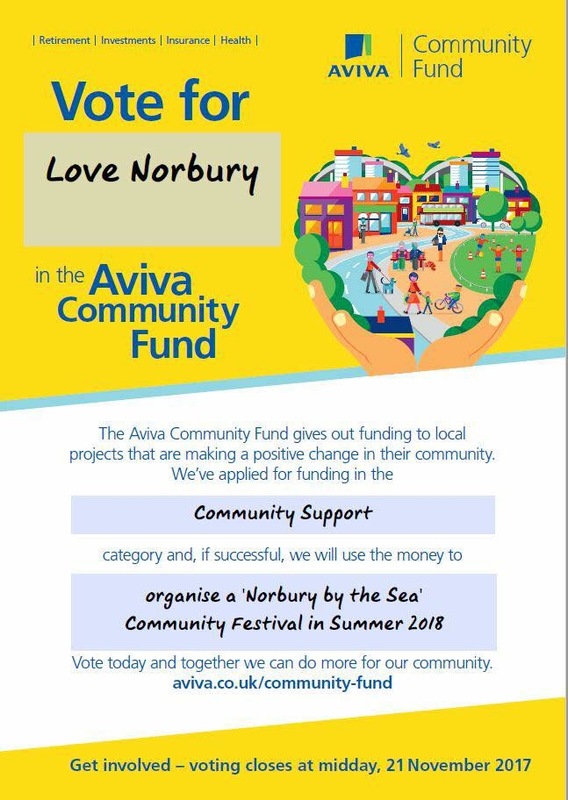 Please vote for Love Norbury and help us win funding to put on a ‘Norbury by the Sea’ Community Festival in Summer 2018 – a fun-filled event for the whole Norbury community to enjoy. Please share the link widely and ask your friends, family, neighbours and work colleagues to vote for us. Only projects with the most votes will become finalists so we need lots of support and votes. You get 10 votes and we’d appreciate it if you could vote for us 10 times. You need to register, but it only takes a couple of minutes.